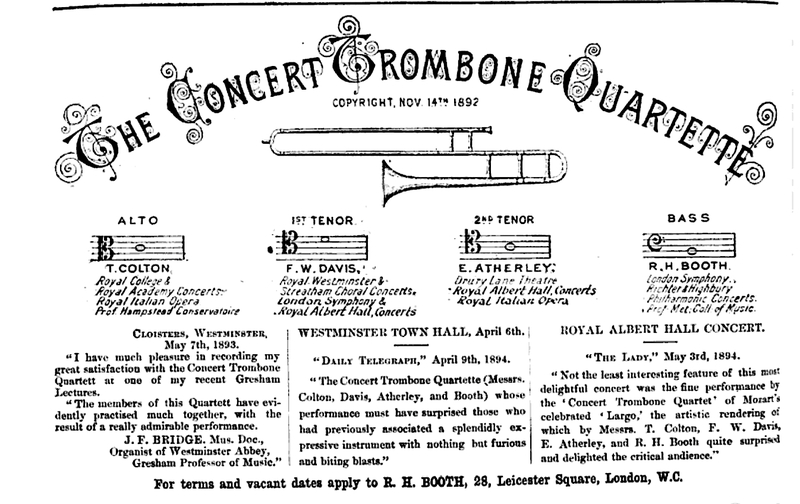 1894—London, England: The Concert Trombone Quartette, advertising in the Musical News, provides endorsements from The Daily Telegraph and from Frederick Bridge, organist of Westminster Abbey. 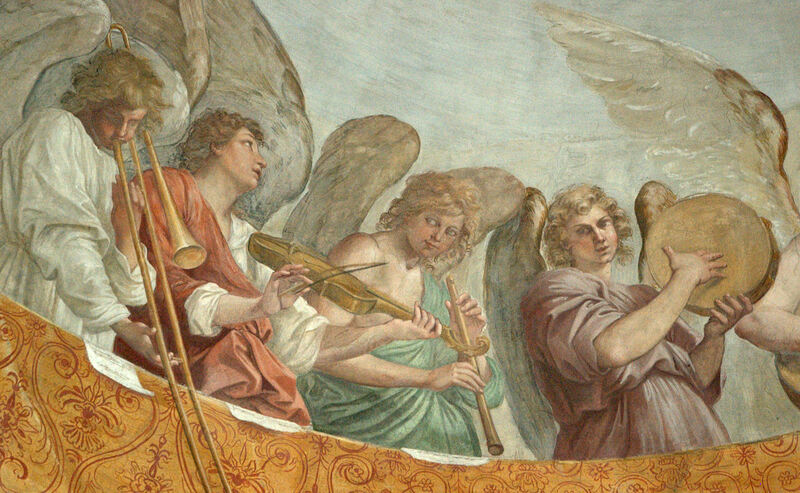 The quartet, comprised of T. Colton, F.W. Davis, E. Atherley, and R.H. Booth, features members of the London Symphony, Royal College, and Royal Italian Opera (see below image; public domain) (Musical News, Dec 8, 1894, p. 494).